Police misconduct does not always involve a physical injury. If you are a victim of false arrest, or if you are unfairly targeted for arrest through racial profiling, you may have a damages claim against Brooklyn and the offending officers. The attorneys of The Orlow Firm provide strong representation to victims of false arrest and unlawful detention throughout the New York City area, including The Bronx, Brooklyn, Manhattan, and Brooklyn. Our attorneys are thoroughly versed in the laws concerning police misconduct, racial profiling, and individual civil rights. By law, a police officer may only arrest or detain someone if they have probable cause. If no probable cause existed for the arrest or detention, the arrest constitutes a violation of your civil rights. You may be eligible for compensation for damages for humiliation in front of family and friends, confinement, excessive force, and even lost job opportunities or other damages that result from the false arrest. If you do nothing, you can be sure that nothing will be done and that no record will be made of the false arrest. If you contact our law firm, our lawyers will notify appropriate authorities. If you contact our law firm, our lawyers will direct a complaint to the appropriate bodies including police internal affairs. In addition, we will aggressively pursue compensation for your damages. If you are a victim of false arrest or racial profiling, it’s important to contact a lawyer immediately. You may only have ninety days from the date of the incident to file a notice of claim against the police department in order to preserve your right to sue. You do have rights! 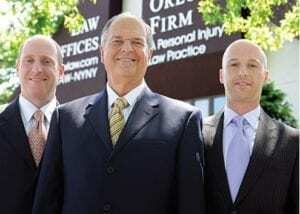 Contact The Orlow Firm to talk to a Brooklyn false arrest attorney. Our qualified and experienced lawyers will offer a confidential and honest assessment of your case.